A doctor in Flint, Mich., says he has developed a special screening process to detect breast cancer in women with dense breast tissue. He says his "Rapid Breast MRI" protocol could detect breast cancer up to six years earlier than a mammogram and could possibly save thousands of lives. "Your breasts will be seen as dense if you have a lot of fibrous or glandular tissue and not much fat in the breasts," the American Cancer Society says on its website. As it turns out, breast density is very common and not abnormal. However, it can present some challenges to screening using a mammogram. According to the Mayo Clinic, some states have laws requiring doctors to inform women when a mammogram shows they have dense breast tissue. "But just what women should do in response isn't clear," the Mayo Clinic says. Dr. David A. Strahle, chairman of Regional Medical Imaging (RMI), believes Rapid Breast MRI could be the answer. An MRI is a highly effective way to see what is going on inside the body. The only problem is, it's very expensive. For that reason, only about 2% of women -- those considered at high risk for breast cancer -- get MRI screenings. Strahle says his protocol cuts the time required for a breast scan by 70%, to just seven minutes. That, he says, will drastically reduce the cost. While insurance companies do not yet cover Rapid Breast MRI, Strahle says the exam costs $395 out-of-pocket, compared to $700 or more for a full diagnostic MRI. Strahle says the scan only needs to be performed every two years, as opposed to more frequent mammograms. "This is a major breakthrough," Strahle said. "I can see a day when we can prevent this disease from killing women." The Centers for Disease Control and Prevention (CDC) reports breast cancer is the most common form of cancer affecting women in the U.S. Nearly 41,000 U.S. women died from breast cancer in 2013, the most recent year for which numbers are available. 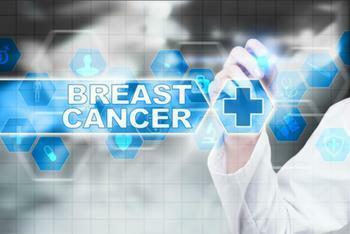 According to the CDC, women age 50 to 74 should be screened for breast cancer every two years. Women under 50 should discuss with their doctor when to begin screening.